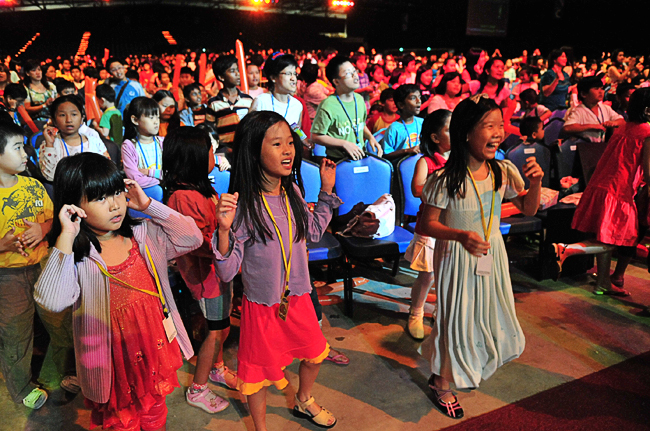 SINGAPORE, 20 NOVEMBER 2008 — CHILDREN RUSHED INTO Expo Hall 10 with beaming faces. Laughter began the moment the event started, and barely broke throughout — the kids cheered, shouted and screamed from start to finish. Some brought banners all around the hall to show their support for friends who were the grand finalists of the Talentime Junior competition. The kids were divided into four color groups — red, blue, and orange and green — each representing the different zones. As the light dimmed, the worship team from the children’s church began to minister with praise and worship. To enhance the dynamic praise songs, the worship leaders added drum beats to the songs, which then segued into the first Talentime Junior contestant’s performance — a drum solo that blew the crowd away! 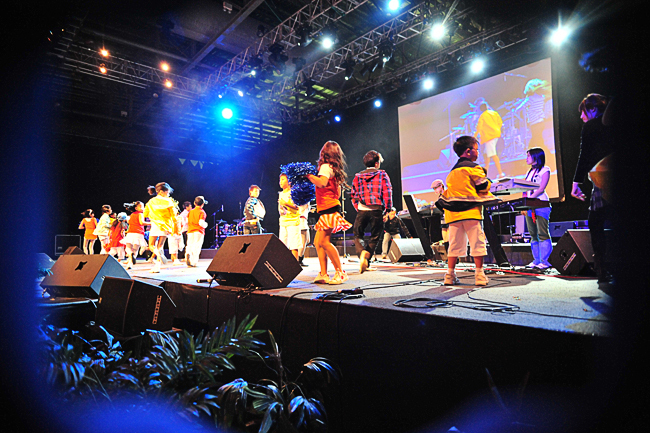 The event hit a high with the guest performance by Superband finalist, Dreamfactory. The five-person band entertained the crowd with a hit song from the popular movie Camp Rock. 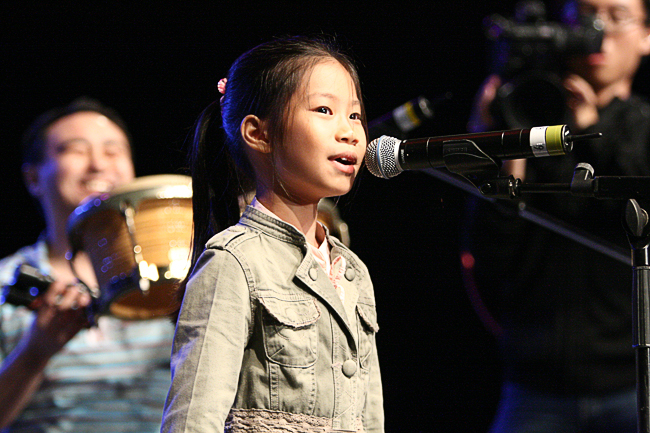 Talentime winner Joie Teo, 7, performed a beautiful duet with her father Teo Poh Heng, City Harvest Church’s worship leader. Teo sang the classic ‘Stand By Me’. The crowd clapped to motivate the young talent to sing the best that she could. It warmed the heart to see father and daughter singing and playing their hearts out. When the show was over, Eileen Toh took the stage to illustrate a powerful example of God’s greatness and power in our life. She took a Mentos mint, pressed it, and dropped it into a pet bottle of Coca Cola. The cola began to fizz and flow out of the bottle. “We may be as small as this Mentos, but if we put our trust in God, He will increase the capacity in our lives. Your life will be overflowing with goodness of God,” explained Toh. The children had a great time at Emerge Junior, soaking in the presence of God and learning ways to be as creative as possible in everything they do.